Full size here and get it in various sizes for your computer or mobile devices here. Awesome! Also for those of you on the Social Club, new GTA V avatars are now available! 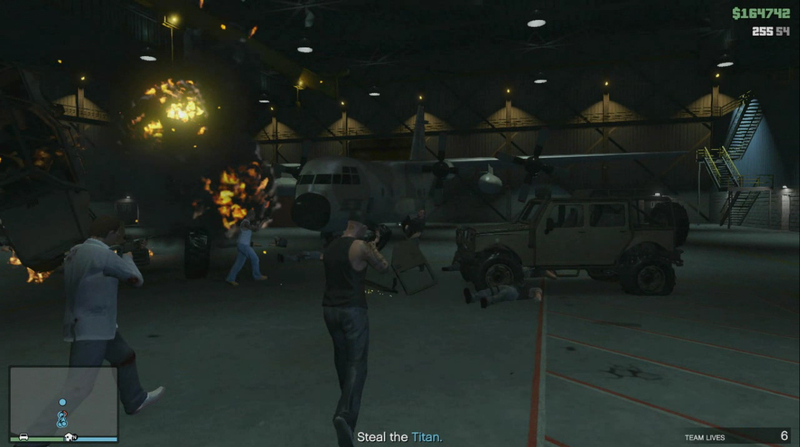 One more thing: more GTA V goodness next month! It's the scene from the first trailer where the guys enter a jewelry store. The plates have said San Andreas since the trailer. Nothing new. It's more realistic that way since the US has state plates not city. what the guy said about san andreas, it sounds stupid but in GTA san andreas license plates were marked by area, Los Santos, San Fierro and Las Venturas, it never said San andreas, apart from the SAPD motorbikes, because they were for every territory. a bit odd if nothing else. 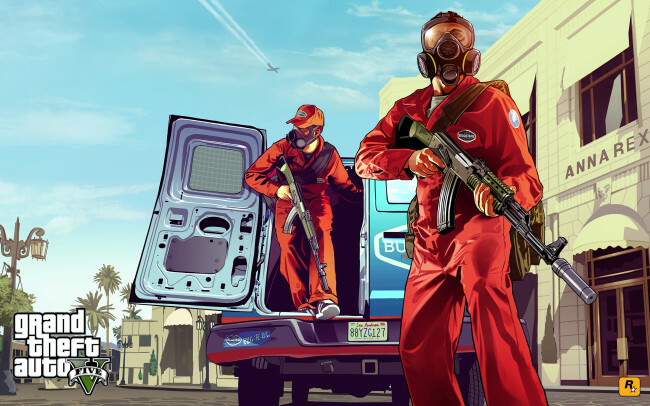 Official GTA 5 Artwork: Pest Control - Rockstar has released the first official GTA V artwork titled "Pest Control".